About the survey in general: The first independent survey „Self Publishing in Germany“ ran from May 22nd to June 16th at http://selfpublishing.limequery.com/index.php/756156/lang-de (survey is inactive now). Limequery is an independently developed survey tool. 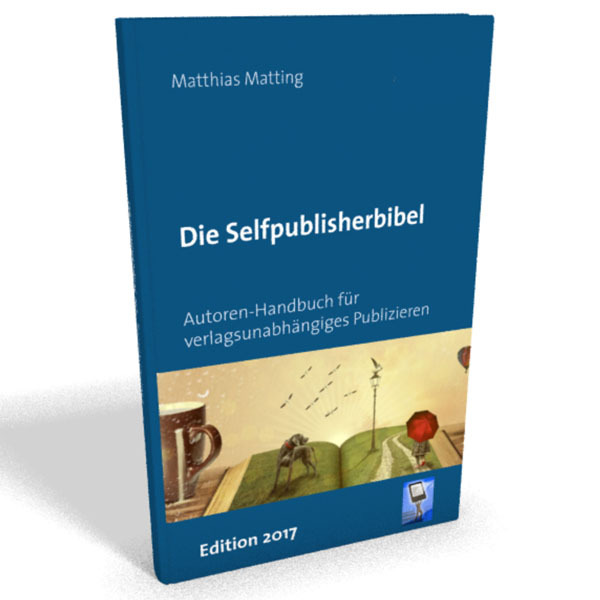 The 50 questions (all were asked in german language) cover all aspects of self publishing, from the motives upto the people involved with it. They were developed by Hilke-Gesa Bußmann (Goethe-University Frankfurt) and Matthias Matting (selfpublisherbibel.de). There was no outside financing. The distributors BoD, Bookrix, epubli, Neobooks and Xinxii supported the survey by using their own channels (newsletters, social media) to alert their authors to it. Also, we as the creators of the study used our own channels to promote it. The announcement of the survey at selfpublisherbibel.de was tweeted 98 times, got 301 likes on Facebook 24 shares at Google+. As the result after nearly four weeks, we received 508 complete datasets plus 296 incomplete answers. It’s hard to say how representative the survey really is. User numbers of some distributors and their counted market shares let us estimate a number of 70.000 self publishing authors in Germany. From these, we have reached 0,7 percent. It’s not unlikely that the authors taking part in the survey are more than usually interested in this subject. So some datapoints (like medium earnings) might be skewed. The complete dataset is available in Excel format (with English translations): www.selfpublisherbibel.de/Survey_Data.xls. Leider funktioniert bei mir der Link nicht. In ein anderes Browserfenster kopieren habe ihc auch schon versucht. Hallo, leider scheint der Link zu der Eccel-Tabelle mit der Auswertung nicht zu funktionieren!